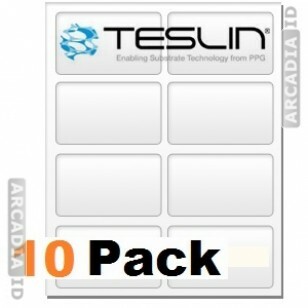 This is Teslin® paper in packs of 10 sheets. 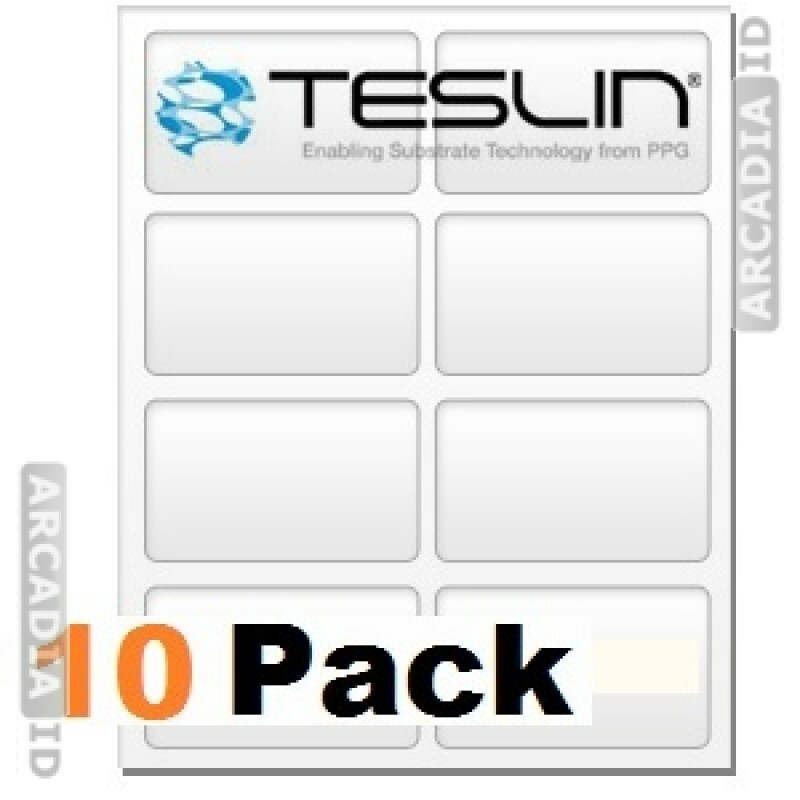 This paper is suitable for use with laser printers and features 8-Up punch outs for creating 80 new ID cards in total. High quality paper at a great price. For more great photo ID card materials and more browse the other items. You can depend on ArcadiaID for the very best prices and quality.